The M Digital Rangefinder Camera (Black) from Leica is a compact full-frame (24 x 36mm sensor) digital camera. 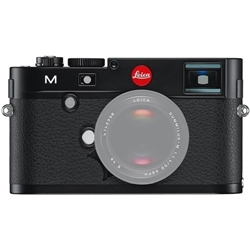 As part of the Leica M-series, it is directly compatible with Leica M-series lenses and by utilizing the Leica R-adapter, is compatible with Leica R-series lenses. The Leica Max 24MP CMOS sensor and Leica Maestro Image Processor were developed together at Leica and produce richly detailed, low-noise images. The integrated imaging electronics provide particularly fast start-up and response times and the powerful image processor consumes minimal power while offering high speed performance. In combination with the new Lithium-ion battery, this allows for long battery life on a single charge. 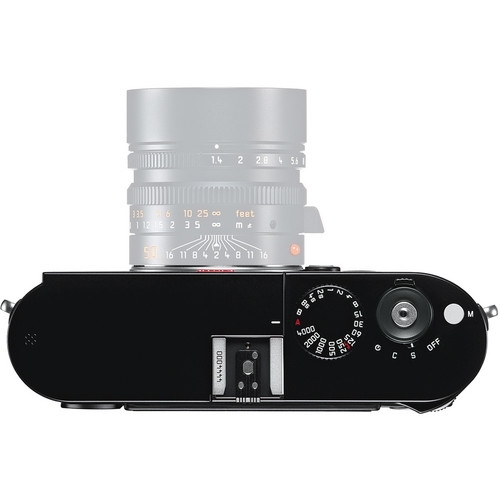 The Leica M offers both rangefinder focusing through the optical viewfinder and Live View focusing and preview on the 3.0" LCD or an optional electronic viewfinder. The rangefinder provides fast and clear focusing with LED settings and the Live View offers Live View Zoom which magnifies the image 10x for precise focus and Live View Focus Peaking which displays a red contour highlighting on the image for accurate focus assessment. The Leica M is also the first M series camera to offer Full HD 1080p video. Shoot videos with the "Leica Look" using any Leica M or R mount lens and preview and playback on the 3.0" 920,00-dot LCD or an optional electronic viewfinder. Shoot your videos in Live View mode to see them exactly as they will appear. A dedicated button will activate video mode in just one touch and manual exposure control allows for custom video capture. An optional microphone adapter set will record stereo audio with your videos. A dual type focal plane shutter controls exposure and a new ergonomic design places buttons and dials in convenient locations on the camera body. An intuitive menu design offers a clear overview of all camera settings and user profiles can save personalized settings for easy set-up. 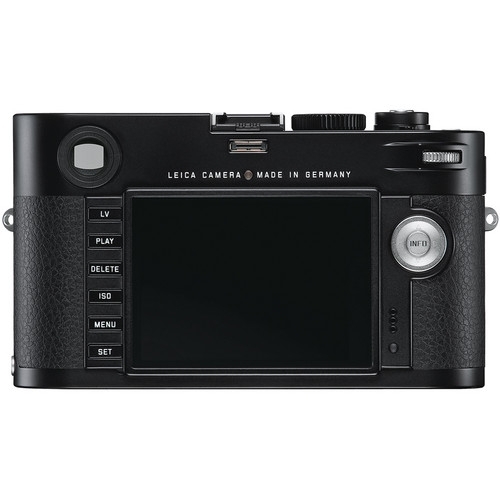 Leica cameras are built to last and the M features a one piece full-metal body with solid brass top and base plates. Rubber seals protect against moisture and dust and the LCD monitor screen is made of scratch-resistant Corning 'Gorilla' glass.